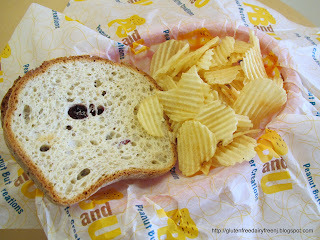 I had read about PB&U a couple of months ago on another gluten free blog (I'm not sure but most likely Gluten Free Philly). PB&U is a quick serve peanut butter sandwich shop (I don’t say peanut butter and jelly as grape and strawberry jelly are only two of their 20 or so toppings!) 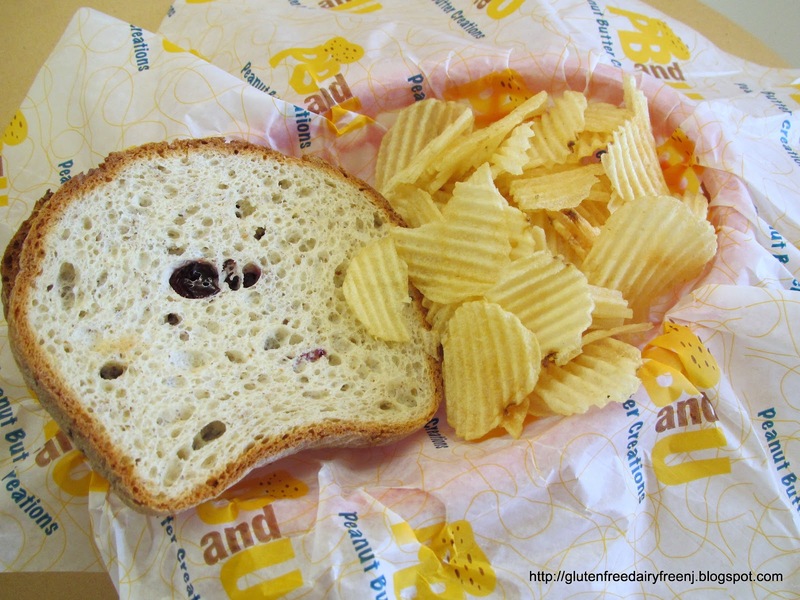 PB&U uses Udi’s gluten free sandwich bread for their gluten free customers [note – not all of their toppings are gluten free]. I finally got a chance to stop into one recently on my way home from the Celiac Awareness Tour: Philadelphia. The dine in area has tables in the shape of peanuts, like other quick serve restaurants all of the prep is done right in front of you so you can watch and their peanut butter is fresh ground in the store and comes in three varieties (creamy, chunky, in between). For gluten free diners they use a dedicated gluten free toaster, make the sandwich on top of a fresh paper to-go wraps, use a plastic knife instead of the regular spatula and cut the sandwich with another plastic knife. The only red flag I saw was that they used the same bucket of peanut butter for GF as well. Since they fresh ground their peanuts I don’t think it should be an issue to ask them to use different peanut butter if you are that sensitive. Overall, I enjoyed the sandwich and hope they continue their expansion. It was certainly a nice diversion and I would certainly consider returning the next time I am in an area that has one. 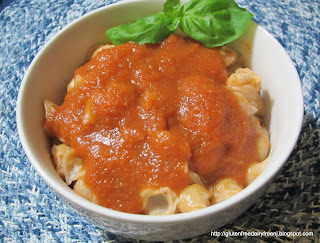 And of course, the full list of NJ Gluten Free Restaurants as well as the list of Gluten Free Quick Serve / Fast Food. Happy Celiac Awareness Month 2012!